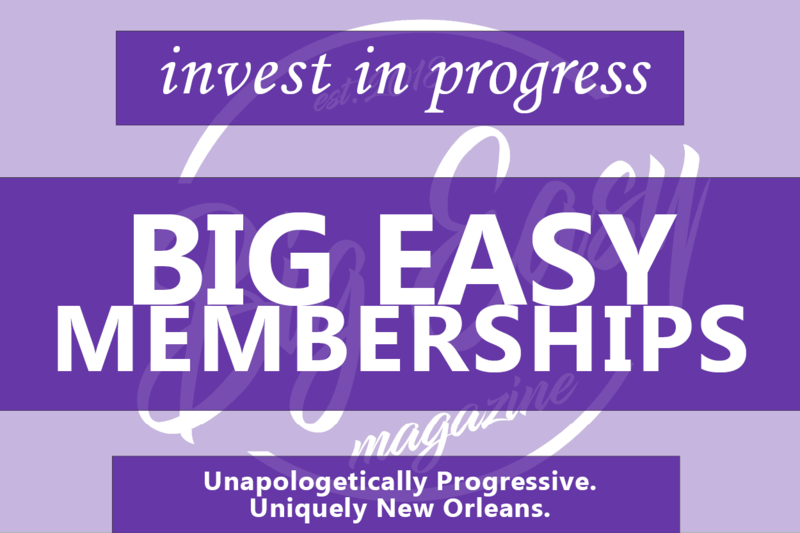 Louisiana’s petrochemical industry is so pervasive that, if one is so inclined, they can drive from New Orleans, east through Chalmette, and see smokestacks quaintly billowing beside an oak allee and pastures dotted with cows and their new calves. So close to the city, it is difficult to resist gazing at the pastoral tableaux. The smokestacks loom so largely, however, that you cannot help but notice them too. An abundance of fresh water courtesy of the Mississippi, flat topography, and millennia’s worth of carbon-rich decay has set the stage for a century of petrochemical investment and infrastructure in Louisiana. Despite near-continuous development, however, oil, gas, and other petrochemical companies are not finished building new factories and refineries on the Mississippi. Roughly between Baton Rouge and New Orleans, the banks of the river are home to some of the highest concentrations of such facilities. Known as “cancer alley,” this area includes Iberville, St. James, St. John the Baptist and East and West Baton Rouge Parishes. In just Saint James Parish, home to about 22,000 people, three new chemical plants are currently in the planning stages: a Formosa ethane cracker that would include multiple production plants and a natural gas plant (the “sunshine project”), a Wanhua plant 250 acres in size that would manufacture the base ingredient of polyurethane, and a South Louisiana Methanol plant 1500 acres in size. Advocacy groups and residents alike have voiced opposition to the projects, citing the incredible toxic load in the area and the health burden that residents face, often without reaping economic benefits from the projects. The plants’ opponents include Rise St. James, the water protector camp L’Eau Est La Vie, the environmental monitoring group the Louisiana Bucket Brigade, and the Deep South Center for Environmental Justice, to name just a few. Exploring the arguments against the plants means looking at the living, the dying, the unborn and the dead. This is, after all, Louisiana. There is convincing evidence to suggest that the plants will not provide the economic boon promised to residents. For one thing, all three have applied for a ten-year 100 percent property tax exemption under the Industrial Tax Exemption Program. The program was modified to include greater oversight in 2016 by Governor John Bel Edwards, however, the three projects all applied for the tax exemption before the new rule took effect. The Formosa plant’s paperwork was filed just one day before the rule change. The value of the Formosa property tax break is $1.5 billion, as reported by The Advocate. Property taxes are used to fund local government services such as schools. The project will also receive a $12 million performance-based-grant for infrastructure costs. “The sad thing about it is that when you look closely, we are a wealthy state in resources. We should not be poor, we should be at least as wealthy as Texas. But then when you look at the tax structure… that is why we are poor,” says Dr. Beverly Wright, the founding director of the Deep South Center for Environmental Justice and a professor of sociology at Dillard University. Louisiana ranks 45th in median household income according to recent census data. Though the companies promise well-paying jobs (Formosa claims that the average salary will be $84,500, plus benefits for its new plant’s workers), this can be a slippery concept. Similarly, the jobs numbers put forth by the prospective plants are also suspect. It is especially questionable whether the plants will uplift the local economies at all. After Formosa publicly announced the plans or the plant, The Advocate reported that St. James Parish President Timmy Roussel received an offer “less than an hour and a half later” to buy a vacant former detention center to be converted into dormitories for construction workers. If the jobs will go to the community, why would a jail’s worth of dorms be necessary? “If you’re creating 250 jobs and 50 of them are for people who need to have engineering credentials, well, there are many things going on that people in the community don’t have access to those jobs,” says Robin McDowell. Friendly and chatty, I met McDowell while she was back in Louisiana for a visit and to speak at a conference in Lafayette—a Ph. D candidate studying in Boston, one of her areas of expertise is environmental racism against the black community in Louisiana. She explains that the history of the early petrochemical history in Louisiana was “extremely segregated,” with the higher paying and technologically advanced jobs going to whites, while the dirtiest and most backbreaking parts of the work went to African Americans—jobs like digging waste pits. She describes this period in Louisiana a century ago as a vehicle for whites to get into the professional class. “With little restriction… you found an industry come in and replace the sugarcane system. While the plants themselves provided economic opportunity for whites, African Americans were not hired into those jobs,” says Dr. Robert Bullard, sometimes called the “father of the environmental justice movement.” A professor and former dean at Texas Southern University, Bullard has written several books about environmental racism in the South. Over the course of the last three decades, has worked with several communities in Louisiana facing environmental injustice, including Gordon Plaza in New Orleans. Dr. Bullard explains that black Louisianans have not seen the economic benefits of the chemical plants—even though black communities are literally in the shadow of the petrochemical plants. The benefits—tax revenue, are dispersed through the parish, explains Bullard, while the black communities closest to the plants take the brunt of the pollution. “If the plants were operated in a way that jobs were open to everybody, black people could walk to work… but that’s not how it worked. And over the years the amount of pollution that was pumped into the air, the water, the ground became so outlandish that community residents themselves, frontline organizations began to resist,” says Dr. Bullard. Maps created by the Deep South Center for Environmental Justice used EPA data to show that black communities were disproportionately clustered around the chemical plants. Sharon Lavigne, a resident of St. James and the founder of Rise St. James (one such community organization) says that the communities do not benefit indirectly from the jobs that the plants provide, either. “The stores are closed down… the post office and the school.” Lavigne grew up in the town of Saint James, she knows and loves it well. She has seen firsthand how the industry affected her community over time. In 2014, her council district within St James was rezoned into residential/future industrial. The fifth district has the highest percentage of African American residents of all seven Saint James districts; to Lavigne the zoning represents dispossession and disenfranchisement. To Lavigne, the plants represent a terrible threat, certainly not a vehicle for growth. The Wanhua plant will emit benzene, chlorobenzene, carbon tetrachloride, formaldehyde, and aniline, to name just a few of the chemicals listed in environmental researcher Wilma Subra’s report to The Lens. Many are known or suspected carcinogens that can damage the nervous system, irritate skin and mucous membranes, cause asthma, dizziness, chronic pulmonary edema, cause a multitude of cancers including cancer of the brain, bladder, blood, kidneys, lungs, and spleen. The Advocate reported that the Formosa plant would emit “hundreds to thousands of tons per year of volatile organic compounds, particulates and nitrogen oxides” and “in the tens to single tons per year — of formaldehyde, toluene, and benzene,” according to emission permit applications. Volatile organic compounds (VOCs) can “cook” in the air with nitrogen oxides to become ozone – which can cause moderate to severe respiratory illness, depending on exposure and age. The cumulative impacts of all of these exposures are intuitive, yet difficult to quantify. This is to say nothing of the mental health effects of living surrounded by noxious and looming chemical plants. Dr. Wright recounted one occasion where she was in one of the petrochemical corridor’s communities and a car backfired. People panicked, she recalled, because they assumed that there had been a serious explosion nearby. But regardless of how larger society and our legal framework interprets these damages, there are damages nonetheless. There are lives that are unquestionably affected for the worse, to benefit corporations that make money from processing fossil fuels. “People are sick. So many people are dying. My granddaughter had to go to a doctor because she couldn’t breathe. My grandson is seven, he had to go to the doctor because he couldn’t breathe… if my little grandson is exposed to all these chemicals, he might not live to make the age that I am. I’m older, and I’m sickly,” says Lavigne. When we spoke, she told me that her doctor had just informed her that she had aluminum-based contaminants found in her blood. Watching footage of the hearing (which can be found here), I was reminded of a public comment session for a proposed liquid natural gas (LNG) terminal and pipeline in Plaquemines Parish. The Federal EnergyRegulatory Commission (FERC) has begun the practice of recording “public” comments privately, in front of a stenographer, to be published online at a later date. The FERC representative at the meeting told me this was because previous hearings had become too “unruly” when protesters attended meetings in the northeast. “I saw an unbelievable amount of deaths and sicknesses. People who were sick, and they believed it was because of exposure to toxic chemicals,” says Dr. Wright, of her early work in the Louisiana Petrochemical corridor. 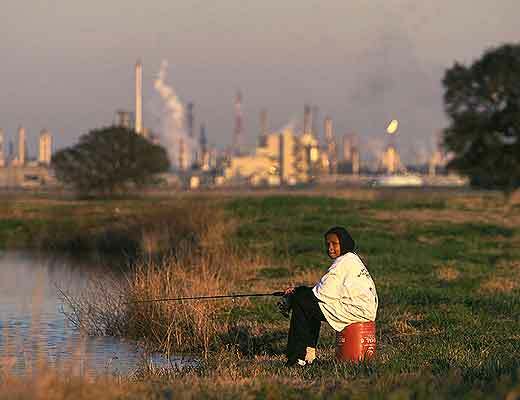 The Deep South Center for Environmental Justice recorded that in 1985, the toxics release inventory (TRI) recorded by regulatory bodies in Louisiana hit a whopping 700 million pounds of emissions. That number has seen a drastic reduction (thanks in no small part to community activism) to a modestly mind-boggling figure of 102.4 million pounds in 2012. “During the time when we first began our work , screens were rusting and falling off of windows in six months, all the moss on the trees was dying, small animals were disappearing. The only thing left was crows catching fish with tumors,” says Dr. Wright. “They didn’t call Louisiana’s petrochemical corridor from Baton Rouge to New Orleans ‘Cancer Alley’ for nothing,” says Dr. Bullard when I ask him about the health effects of living in the petrochemical corridor. In a WWL report on Cancer Alley, reporters showed that Cancer Alley has extremely high levels of cancer risk according to EPA exposure data in Iberville, St James, St John the Baptist and East and West Baton Rouge Parishes. Though data from the LSU tumor registry does not show statistically significant elevated cancer levels, there are many reasons why this could be the case. One possible reason is that these results are “diluted” at the parish level—this data does not show a distinction between residents of East Baton Rouge living closest to petrochemical plants versus those living farther away. Another reason, says Anne Rolfes, director of the Louisiana Bucket Brigade, is that the studies by the Tumor Registry are biased against poor people of color who are the most vulnerable—because they are less likely to be able to afford to seek medical attention. The Louisiana Bucket Brigade designed a cheaper version of air sampling containers used by the EPA. In some areas, the Bucket Brigade trains residents on how to collect samples to be mailed to a lab for analysis. “And then they have some specificity about what sort of exposure they have,” she says, giving residents a stronger political position to fight pollution. The Tumor Registry’s numbers also do not reflect those who may be impacted by toxic exposure but develop tumors and cancers years after moving away. There are still other disquieting examples of risks to Cancer Alley residents. In 1998, the Agency for Toxic Substances and Disease Registry (ATSDR), part of the national Health and Human Services Department (HHS), took blood samples from residents of Mossville, Louisiana, a small and predominantly black community on the edge of the Cancer Alley region. The samples showed levels of dioxins, a group of toxic chemicals known to cause health problems, 3 times higher than the national average. However, the agency then claimed that the dioxin levels were linked to the residents’ fish consumption, though researcher Wilma Subra traced the dioxin compounds to those produced at nearby chemical plants. In 2002 the ATSDR conducted a follow up study with more blood sampling, however this study pulled from residents throughout the parish, which obscured the dangers that the Mossville residents faced. Currently, the paradigm for environmental risk places the onus on members of the community to prove that their disease has been caused directly by the local emissions. It’s “unfair, unequal and unjust,” says Dr. Bullard. “The paradigm is that it’s up to this community to prove that that chemical is making them sick. That’s a ridiculous paradigm. They don’t have the resources of some research institution,” Rolfes says, echoing Dr. Bullard. Dr. Bullard also mentioned that cumulative impacts between plants and between different types of emissions are rarely utilized in the permitting process. He advocates for the precautionary principle, which places the burden of proof on polluters, to prove their emissions are safe for humans and the environment. “We can say with certainty that having ten chemical plants within a five mile radius doesn’t make you healthier. It doesn’t make your community more resilient. It doesn’t make it more livable,” he added. “If we know that benzene causes cancer, and we do… we know it’s in the community, they smell it–it’s common sense that that exposure at least contributes to their illness,” says Anne Rolfes. However, Rolfes says that health researchers often blame residents’ illnesses on their diets and “lifestyles”, such as the case of the Mossville residents. Though none of the plants discussed here will be refineries, it is important to remember that the petrochemical plants here in Louisiana will have lasting impacts on the earth and its atmosphere. At least one of the plants will include a natural gas power plant, adding to its CO2 emissions and creating lasting fossil fuel infrastructure in a time where decarbonizing the economy is critical to the future of life on earth. Natural gas, once lauded as a “bridge” to cleaner energy, is now known emit far more greenhouse gasses than previously estimated, and be far more costly than previously acknowledged. There are greenhouse gas emissions at the extraction stage, the transportation stage as well as the manufacturing stage—the proposed power plants. Then there is the question of the products themselves. Wanhua’s plant will produce a chemical building block used for polyurethanes; the South Louisiana Methanol and Formosa plants will produce chemical components of different types of chemicals and household plastic products. In case you missed the cultural moment where we all demonized straws, plastics are forever. Every piece of plastic created is still in existence, and between 4.8 and 12.7 million tonnes of plastic enter the ocean each year, according to 2015 reporting in the journal “Science”. This plastic kills wildlife in already imperiled oceans, and breaks down into infinitesimally small particles that are incredibly challenging to collect. BPA, a type of polymer, was found in the urine of over 80 percent of young adults in a study conducted by the University of Exeter. BPA has been linked to breast and prostate cancer. As alternate sources of energy are developed, the future of fossil fuels is increasingly plastics, despite the risks to our bodies, not to mention the communities of life in the ocean. These risks are a part of the Cancer Alley picture, though the ramifications themselves may float off into a gyre of debris oceans away, to be visited upon a generation yet unborn. And if ghostly plastic films will haunt our future, the sites of the petrochemical facilities are haunted by the remains of the past. Quite literally, multiple chemical plants stand on, or practically on top of the bones of enslaved people and free people of color who lived on the river before the arrival of the industry. Property maps of the pre-civil war Mississippi River in Louisiana show pie-shaped slices of land that were used for plantations. The river provided water and access to transportation of goods. In a capitalist inheritance, that same riverfront property is now dominated in large swathes by the petrochemical manufacturing industry. In the same stroke, the industry also inherited the spirits that inhabit the land. In a deeply moving essay called “Bad Neighbors” featured in the Boston Review, McDowell reports on the struggle between residents of Revilletown, a predominantly Black town in Cancer Alley, and Axiall Chemical, who erected series of industrial developments over Revilletown, until the cemetery was surrounded by developments. Then the company stopped allowing residents to visit the graves, insisting the land was private. At one point, a family was escorted from a cemetery, along with the truck bearing the body of a relative they had intended to inter that day. Though McDowell writes that “the company is worth billions; it is a Leviathan in no danger of shuttering if it cannot own a half-acre parcel of grass and bones,”the lawsuit has dragged on for years, winding its way through the courts and appeals. “This charge that the plants are the new masters resonates strongly when one considers the history of the communities they surround…the predominantly black communities along the banks of the Mississippi stem from the efforts of freedmen after emancipation to secure economic and social independence from their former masters,” writes Dr. Shirley Thompson in “Past and Present on a Louisiana Landscape” in published in the journal Race, Poverty, and the Environment. Though not all companies are as hostile as Axiall (Shell has made a well-publicized effort to preserve a historic cemetery for enslaved people found on its grounds, a move of mitigation with perhaps questionable motivation) the question of ownership remains. Can you own your destiny when you worry constantly about being slowly poisoned? If your land can be rezoned as ‘industrial’ without your knowledge, how can you feel empowered? Are you sovereign when your job prospects are bad (though you’re surrounded by fantastic wealth) and your choice is to abandon your hometown (if you can afford to) and with it, your ancestors? The petrochemical industry is so giant, moneyed and powerful, it is daunting indeed to imagine a different world. However, the seven-fold reduction in toxic loading from the mid-eighties to 2012 show that positive change is possible. Lavigne suggested that communities should be able to vote directly on whether projects will be approved in their area. Dr. Bullard noted that change from an environmental justice perspective must come from the bottom up. Further change here could mean a radical shakeup of the industry, like nationalization. Nationalization could completely reorder the priorities involved in expanding the fossil fuel industry. It could mean incorporating environmental rights and the rights of people of color into our country’s constitution. Both have precedent, albeit not in the United States. “We need to find a way to make politicians accountable to the people and not the industry. And that’s very difficult because politicians have deep pockets,” says Dr. Wright. And Lavigne and Rise St James, along with the other advocacy groups, have been holding their officials accountable. At a March 25 public hearing, the St. James Parish Planning Commission voted unanimously to postpone approval of the Wanhua Industrial Group’s proposed facility after residents and environmental advocates campaigned heavily against the plant’s approval. The approval has been postponed, though not indefinitely. At the meeting, Lavigne spoke passionately. She compared petrochemical expansion genocide and spoke on behalf of a community member who had recently died. Within New Orleans, activists who work on the issue of Gordon Plaza relocation discuss the idea of “making people whole.” McDowell mentioned “reparations thinking”- the idea that certain sets of the population deserve something “back” from the country or the state- fiscally, legally, socially and spiritually. As we talked, we discussed the idea of returning the land on the banks of the Mississippi from the chemical corporations—to the descendants of enslaved people, or the indigenous people the land was originally taken from. On the other hand, McDowell supports the idea that the “particularities” of Louisiana in its environmental justice struggles are incredibly important. The plantation system, soil depletion, the engineering of the Mississippi river and the slave-based economy created hundreds of years ago have all made Cancer Alley what it is today. There is a global significance to the history of exploitation in this region, one that all Louisiana residents should remember.